Home Entertainment Memes 6 Days of Darkness in December 2014! Is it a hoax? 6 Days of Darkness in December 2014! Is it a hoax? It may feel like winter is slowly squeezing all the sunlight out of your day, but if you see any news stories claiming the Earth is headed for ‘Six Days of Total Darkness’ then don’t start stocking up on the tins of beans and torches just yet. 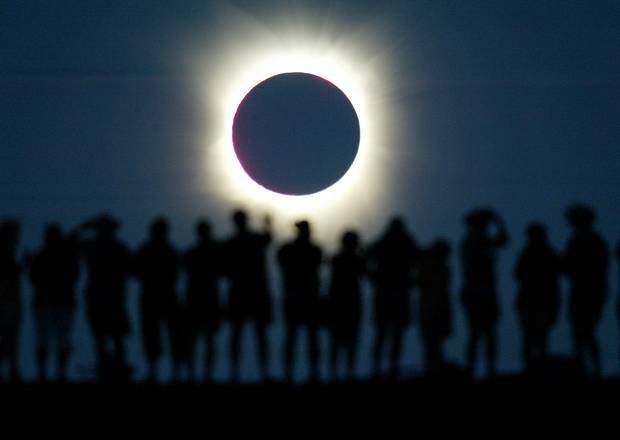 ‘Satirical news site’ Huzlers.com has been spreading this fake story far and wide on the web this week, taking in numerous Facebook and Twitter users and encouraging them to post about what they’re going to be up to during the six days of darkness. The story on the vaguely official looking website titled “Nasa Confirms Earth Will Experience 6 Days of Total Darkness in December 2014!” claims that an incoming solar storm is to blame, causing “dust and space debris to become plentiful and thus block 90% sunlight”. This is false. Although solar storms certainly are real phenomena (they occur due to fluctuations in the Sun’s magnetic field) they’re not like terrestrial storms that can blow up dust and dirt. Instead they create very minor disturbances in the Earth’s magnetosphere. Historically there have been rare storms that could knock out electrical systems today, but they’re mostly of the order of magnitude only likely to throw a homing pigeon slightly off course – not blot out the Sun. However, the hoax story even drafts in some credible-sounding sources including Nasa chief Charles Bolden, who reportedly warned the public to stay calm. Some users even linked to a (real) video of Bolden talking about “emergency preparedness” – an official-sounding phrase that apparently bypasses common sense to hit the big button marked ‘PANIC’ in the brain. In actuality Bolden recorded the video to encourage US families to think about what they would do in the event of an earthquake or hurricane – natural disasters that are a real enough threat in America. This total-darkness hoax apparently comes in a couple of flavours (some claim that a non-existent “photon belt” is responsible for the blackout) and are so widespread that Nasa employees even had to debunk the rumours themselves back in 2012.